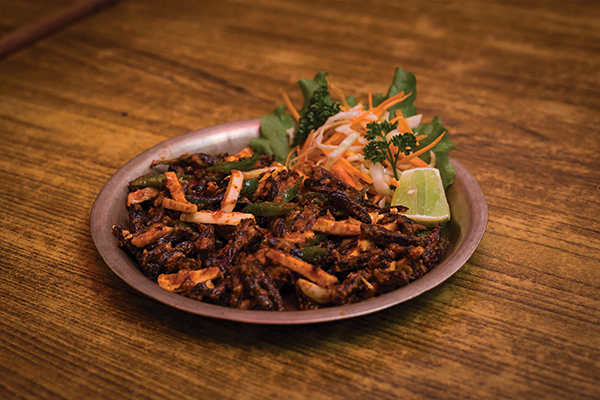 Café De Patan was established in 1983, when the Kathmandu Valley had barely any upscale Newari restaurants. Today, the establishment has become the go-to spot for tourists and Newari-food lovers who want to sample the best that Patan has to offer. Started by a family of Shakyas, the restaurant, which goes by ‘CDP’ among locals, continues to pleasantly surprise with every new dish the brothers come up with. Gun Muni Shakya and his five brothers had been involved in the tourism sector since they were little more than kids. After discovering their clients’ love for Newari food, they came up with the idea for a high-end Newari restaurant. 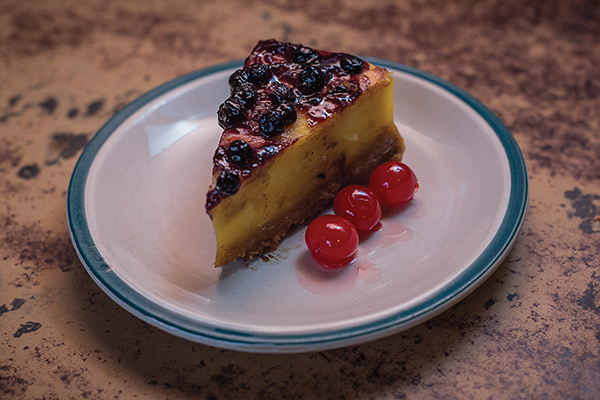 The family owned a food stall, which they transformed into today’s Café De Patan. CDP’s owners love experimenting with new ideas, many that have never before been implemented in Nepal. 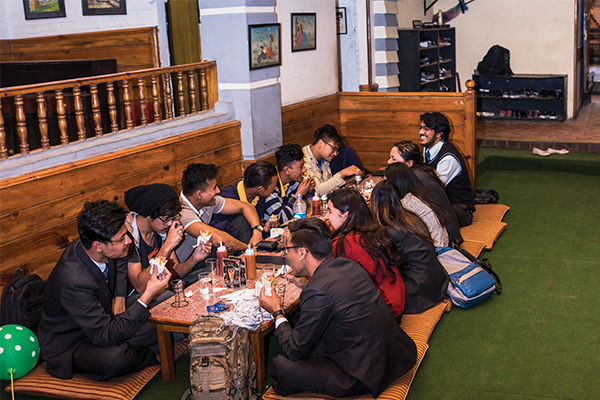 They were perhaps the first restaurant proprietors in Kathmandu to introduce karaoke nights. They also set up an ‘open kitchen’ long before the design started to become the norm among the better restaurants in town. Chef Krishna Lama has been associated with CDP for the last 32 years. In that time, he has absorbed everything there is to know about the nuances and intricacies of Newari cooking. On our visit, we started out with the Buff Sukuti. To create this dish, which is prepared very hygienically, the cooks first boil nuggets of buff, then deep fry them, before finally adding to the mix green chilies, ginger, garlic and other spices. If you are in the mood for a multi-course meal, you could opt for the ‘Nasa Jwolan with Aila’. This set features seven signature Newari dishes: Chatamari, Mya Wo (Maas ko Bara), Chhoila, Panchakol (Aalu-Tama), Musiya Palu (Bhatmas), Aalu Achar and Chiura. We’d also recommend the Palu-La, a spicy ginger-chicken dish. 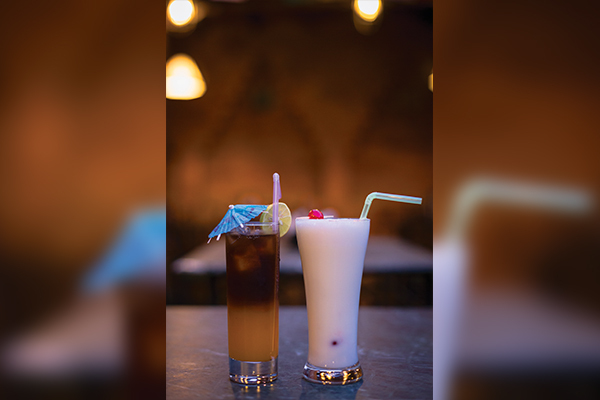 As for drinks, we’d recommend you go for the Sweet Lassi or the Mango Cola mocktail. Cone Pizzas are perhaps the most popular item that Café De Patan serves, as almost every table in the restaurant had people munching one them when we visited the place. 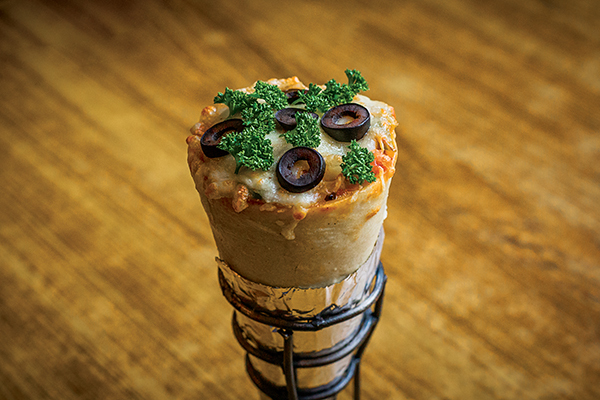 The pizza, as the name suggests, comes in a cone: the crust is first half-baked (in the shape of a cone) before is stuffed with pizza toppings, like chicken, sausage, salami, mushroom and cheese. Some additional cheese is then added to top of the cone. The pizza is then baked, and served piping hot straight from the oven. If you sit in the terrace area, you’ll probably be overwhelmed (in a good way) by the smell of baked goodies, as the bakery sits right underneath. From the in-house bakery, you must try the strawberry muffins and blueberry cheesecake. The bakery unit, known as ‘CDP bakes’, offers 25 per cent discount on all bakery items after 7 pm every day. The restaurant is located on the right side of the road if you are making your way to Patan Durbar Square from Pulchowk. Just a few metres before Durbar Square, you will see Everest Bank’s ATM and a signboard for the restaurant. The restaurant is situated in an old, narrow four-storey white building. 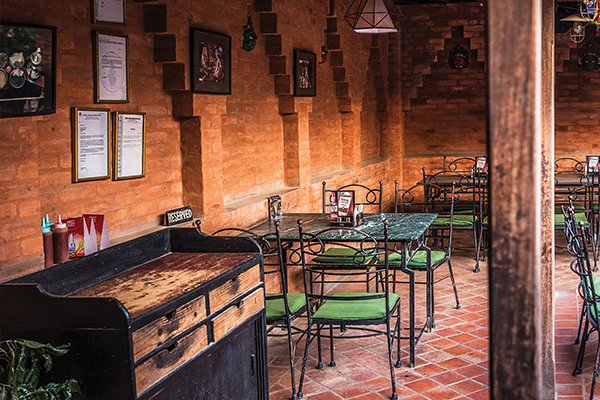 The restaurant’s entrance is narrow, but it expands into a wide enclosed courtyard made from traditional brick walls that are complemented by Newari artwork and handicraft. On your left is a terrace area. On your right, you will find three different types of seating areas: there is the Kuber Baithak (which is a big hall with a Nepali-style floor-seating arrangement), a contemporary, comfortable lounge area, and a small traditional eating area. Café De Patan is planning to expand their business and establish themselves as a Newari food chain: by opening themed stores in food courts around the valley. The restaurant will be celebrating its 35th anniversary on June 1 this year.